Iconic MMORPG MapleStory will hold a co-promotional event introducing characters from the Line Friends title to Maple World in an upcoming event. 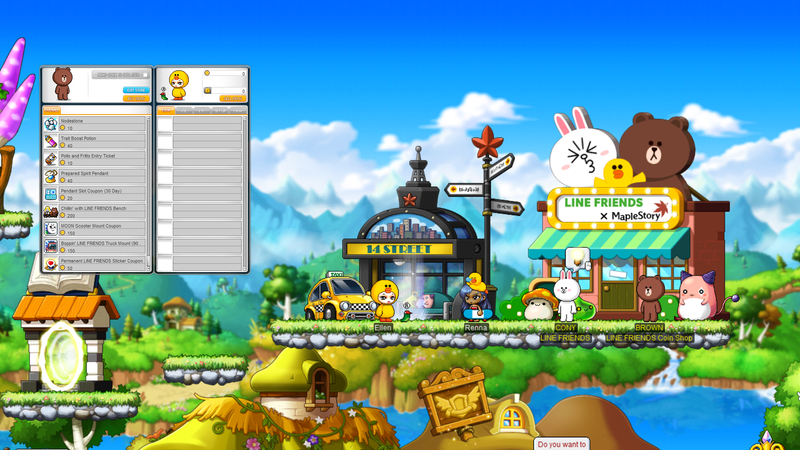 The Line Friends X MapleStory event starts on April 24 and runs through May 21, 2019, and is available for all players with characters at level 61 and higher. The event will feature characters including Brown, Cony, and Leonard, and players who take part in the event can obtain Line Friends coins which can be redeemed for items and consumables. A Surplus of Snapshots Event – Complete special photography quests to obtain LINEFRIENDS Stickers and other items including LINE FRIENDS Coins, gift boxes, and medals. Souvenir Collection Event – Gather Maple World souvenirs over 14 days to obtain a LINE FRIENDS Gift Box or collect Maple World Leaves in exchange for souvenirs. Proactive Peacekeeping Event – Help the LINE FRIENDS characters tour Maple World safely by hunting monsters to receive a LINE FRIENDS Gift Box. Additional Line Friends items will be available for purchase through the cash shop during the same period.